I am thrilled to announce that my very first indie knitting pattern is for sale! 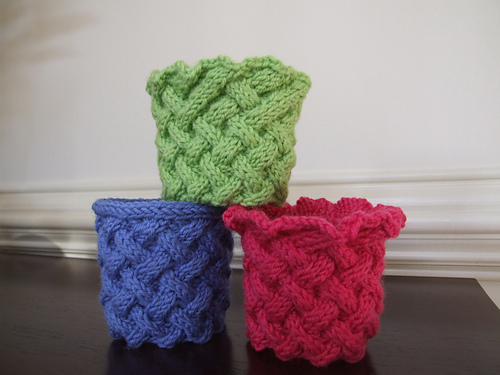 The Trellis Cup Cozy is a quick yet challenging gift for a friend, or yourself. Three top variations are included: A fetching ruffle, a flirty fluted number, or a tailored i-cord. This is just endless cabling. Fairly complex cables, too! 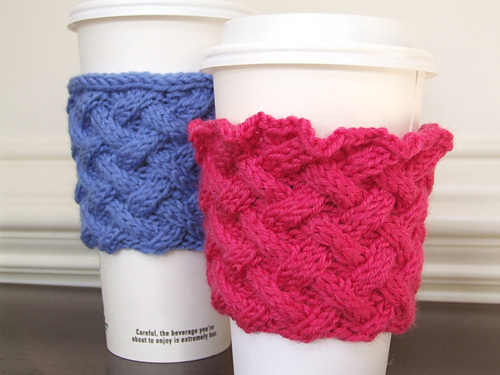 Because of all the cables, the cup cozy is quite thick, nicely insulating your fingers from your hot hot beverage. It uses about a third of a skein of Cascade 220 Superwash (Regular Cascade 220 works, too!). It’s a great way to use up your leftovers! is it knit in the round? I love the patterns! 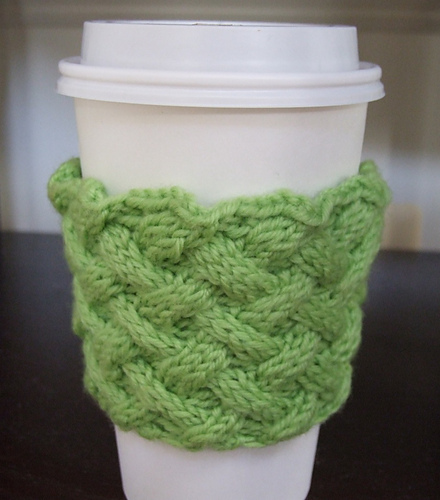 love cables,but have trouble knitting in the round! Hi, Gayle! Yes, it is knit in the round. You can work it either on dpns or use magic loop.